Many so-called “experts” consider bulking up to be a necessary first step in the bodybuilding process. One that’s followed by a period of cutting and sculpting. But it doesn’t actually have to be like that. The fact is Arnold is right. If your expectations are realistic and your methods are sound you can achieve the large, ripped muscles you’re after without having to get fat first. Below, we’ll show you how to do it. When starting out on any type of fitness program the most important thing is to keep your expectations grounded in the real world. You’re not going to become Arnold Schwarzenegger circa 1978. Nobody is. But you can achieve a startling degree of size and muscularity nonetheless as long as you’re willing to accept that creating a cut body is a process, not an event and that there are going to be setbacks as well as successes along the way. So how long will it take to build the kind of muscle you’re after? “As long as necessary” is the only realistic answer. There’s no magic pill, no secret formula that top bodybuilders have been hiding from the rest of us. It’s a matter of hard work and perseverance. So relax and get real and devote yourself to the journey. If you are fully committed to the process you’ll find it easier than you might think to get and stay healthy and strong. There is no substantial muscle growth without resistance training. If you’re not sure what resistance training is it simply means that your muscles are working against an opposing force or object that is “resisting” their movement. The most common type of resistance training is weight training. When you do a bench press, the weight on the bar is resisting your attempts to move it. As your muscles fight against the resistance they are pushed to and eventually beyond their previous limits and begin to break down. This is called “lifting to failure”. In the aftermath of the workout your body sends signals to the muscles that they need to grow in order to meet these new physical challenges they’re encountering. Just how much they grow and what shape that growth takes will depend on how well you adhere to the following training tips. When attempting to reshape your body there is no substitute for getting enough shut eye. Most muscle repair and rebuilding goes on while we sleep so not getting enough is like attaching an anchor to your muscle building efforts. In addition, getting at least 8 hours of sleep a night means you’ll have more energy to put into your workouts. Keeping a lid on stress factors in your life is another important aspect of muscle creation. That’s because stress releases catabolic hormones that work in opposition to muscle building. So if you want to give yourself the best chance of attaining your desired physique keep the heated arguments to a minimum, don’t stay at the office until midnight and then get 5 hours of sleep, don’t miss meals and just adopt a more relaxed outlook on life in general. It works. Trust us on this one. There are 2 kinds of resistance exercises you’ll be involved in: compound and isolation. Compound exercises involve more than one joint and multiple muscle groups and are typically the harder of the 2 types of exercise. Squats are a good example of compound exercises. Isolation exercises by contrast focus on one particular muscle or muscle group. The bicep curl is the most well-known type of isolation exercise. It’s important to start with compound exercises for a couple of reasons. First, these exercises require the most energy. As such, doing them after you’ve already worked various parts of the body to failure is like shooting yourself in the foot. Second, compound exercises serve as a kind of warm up, so that when it’s time to do the bicep curls you aren’t starting from square 1. There are essentially two approaches to lifting weights. 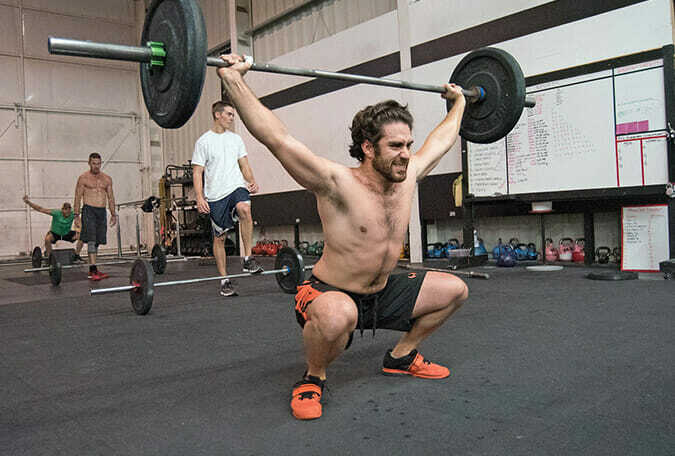 The one that involves multiple sets of moderate weight with lots and lots of reps.
And the one that foregoes the endless reps in favor of piling on the weight, to the point where the 8th or 10th rep on your first set will be a challenge. This approach is known as “lifting heavy”. If you are serious about trying to build lean muscle and increase strength you’ll want to embrace the heavy lift and leave the endless reps behind. Some would argue that waiting for failure to occur on the 10th rep is a waste of time. That the 4th or 5th rep should have you straining to deliver. But while the number of reps and the weight involved is up to you, there is no denying that lifting heavy is going to produce results faster and more effectively than endless reps with a lighter weight. While this may seem like a strange thing to suggest you have to keep in mind that your body is a type of zero sum game. There is only so much energy to draw from at a given time. Therefore, if you expend large amounts of energy doing cardio workouts, there will be less available when you settle under the bar to do strength training. But that doesn’t mean you have to sacrifice heart health. Resistance training opens blood vessels and promotes robust blood flow to a greater degree than cardio. It also produces a more pronounced and longer lasting drop in blood pressure during the post-workout period. 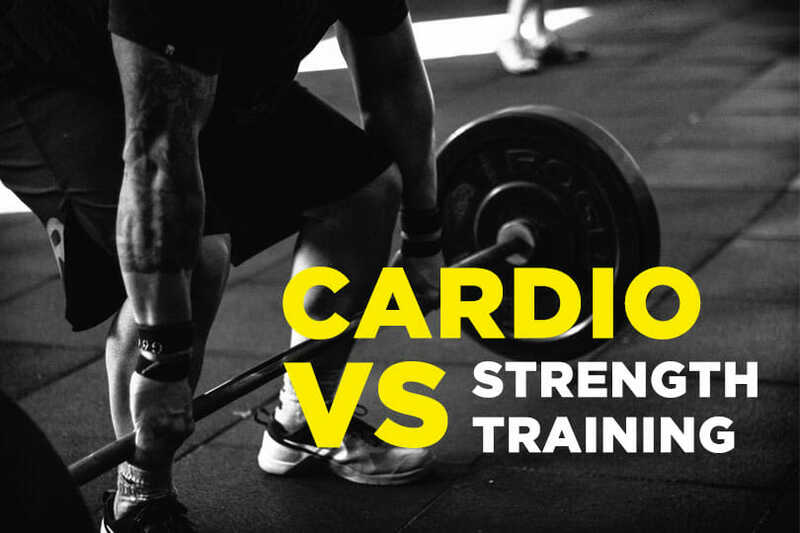 So don’t worry and limit the cardio to enable muscle growth. When you saddle up to the weight machine you are turning over important aspects of strength training - like balance - to the machine for it to handle. While this might seem like some kind of progress the fact is that in order to achieve balance during a lift your muscles need to work harder, which of course means gaining muscle faster. This need for the body to attain balance is also beneficial for the joint stabilizers that wind up ignored when you sit down at a machine. Free weights have other advantages as well including the fact that they allow for a greater range of motion. The bottom line is that, while weight machines have their place - particularly for people recovering from injuries who need to isolate particular muscles or muscle groups - as a general rule avoiding machines will help build larger mass, faster. It’s a fact of physiological life that at some point muscle growth will hit a plateau if you continue to do the same exercises over and over. That’s why it’s so important to vary your routine. Professional bodybuilders call this “shocking” their muscles and it’s necessary because after a while your muscles get comfortable and complacent. They know exactly what’s coming when you stride into the gym and they know they can handle it. In order to stimulate muscle growth, promote fat loss, get in shape faster and create strong, lean mass you have to present your muscles with something they’re not expecting. ​Take shorter breaks or take no break between sets. Another way to create this change is through performing advanced techniques that push your body a little harder. Here are a few techniques to know about. Supersets - This involves you performing one exercise back to back with another, resting only after that second exercise is completed. You can either do supersets for the same muscle group (same muscle supersets), supersets for opposite muscle groups (antagonistic supersets), or supersets for upper/lower muscle groups. Drop Set - A drop set is similar to a superset only this time, you are sticking with the same exercise.You’ll perform one set with your usual weight, drop the weight by 5-10 pounds, perform a second set, drop the weight again, and then perform a third and final set. You’ll typically do this towards the end of your workout as it is quite intense and will bring you to that state of final fatigue. Pyramid Sets - This type of structure has you moving through rep ranges – 6 reps, 8 reps, 10 reps, 12 reps, 10 reps, 8 reps, and 6 reps. Note that you can structure the specifics however you prefer, but you should move up and then back down, adjusting the weight accordingly. It’s a great way to see both strength and size improvements all within the same exercise. Now when we say to train 3-6 days a week we don’t mean you should do the exact same exercise routine day after day. If you did that your muscles wouldn’t have a chance to regroup and rebuild. What we’re talking about instead is designing a series of workouts that target different muscle groups on different days. And in the process making sure you hit the same muscle groups twice a week. So to get the results you’re after devise 3 different workouts and repeat the sequence twice a week, with one day off at the end of each sequence for recovery. If you are not seeing the kind of muscle growth you expect from all your hard work it’s probably because you’re not eating enough. In short, if you want to create more muscle tissue than you currently have you need to provide your body with more high-quality calories than you’re currently eating. With an emphasis on “high quality”. Because if you just belly up to the counter at the chicken place every day nutrition will suffer and you’re going to gain instead of lose weight while creating more new fat than muscle. 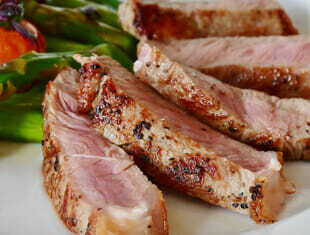 In most cases consuming 250 to 500 calories above what is normal for you should be adequate to build lean muscle. Those with a slow metabolism should err toward the lower end of that range while thin people with a fast metabolism will want to go for the full 500 calories per day in order to prevent weight loss. But as we said, don’t lose sight of eating right and simply load up on mashed potatoes and gravy. Make sure you’re getting the right balance of protein, carbs and healthy fats. As a general rule proper nutrition for someone engaged in an aggressive campaign of muscle building will entail consuming 1 gram of protein per pound of body weight per day. So for a 180 pound individual that would be 180 grams of protein. While that might seem like a lot it’s really only the equivalent of about 1 large chicken breast. Of course there is some wiggle room within that formula. Some may want to go a bit heavier on the carbs and lighter on the protein. But remember, even an already lean body needs protein to build muscle. Also, there are numerous high quality protein powders on the market that you can use to supplement your protein intake, should you get tired of eating steaks, chops, chicken and fish. If you are vegetarian or vegan you’ll have to obtain your protein from plant-based sources like beans and nuts. The problem with plant based proteins is that they tend to be lower quality sources of protein. By that we mean their bioavailability is lower than with meat based proteins. Because of this you’ll need to eat more in order to achieve proper nutrition and enable similar results to someone eating lean meats. 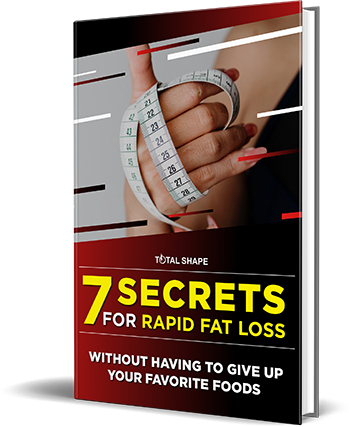 When people think about losing things like love handles and gaining lean muscle they naturally think they’ll need to eliminate most or all fat from their diet. But the fact is there are good fats and bad fats and if you eliminate the good fats - i.e. polyunsaturated and monounsaturated fats - you’ll be compromising overall nutrition, including heart, vision and brain health. Fat - At the end of the day, those good fats should account for about 25% of your daily caloric intake. Give or take a few percentage points. 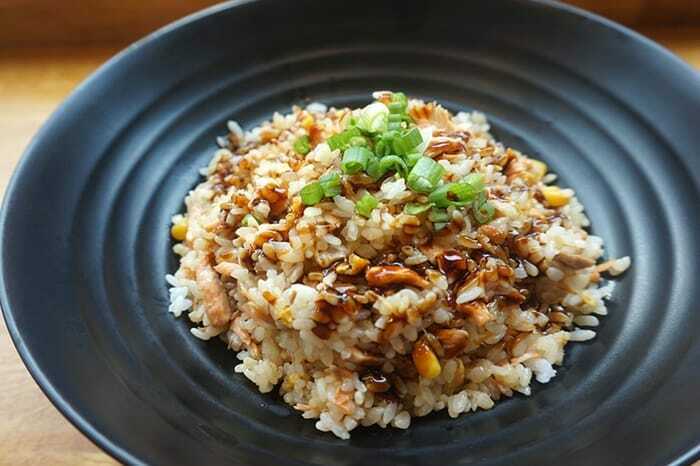 Carbs - As far as carbs are concerned, you’re going to have to balance your carb intake with your protein intake. Remember, no protein means no muscles. So while carbs will provide you with the necessary energy to power your workouts you can’t go so carb-heavy that you forget to enable the creation of new muscle. Many bodybuilders opt for 50% of calories from carbs and 25% from both protein and fat. While some in the more advanced stages of bodybuilding will tweak that a bit and go for a more protein heavy mix, with 40% of total calories coming from carbs, 35% coming from protein and 25% from healthy fats. To those on the low-carb keto diet those percentages will obviously be unacceptable. But keto bodybuilding is a subject for another day. We touched on supplements briefly above but they deserve a paragraph or two of their own. BCAAs are the building blocks of muscle tissue and without them no substantial growth can occur. Sometimes we don’t get enough BCAAs from the food we eat and this is where nutrition supplements come in. Many of the best protein powders on the market are rich in BCAAs that get to work while you’re sleeping to repair damaged muscle and build new, bigger ones. We recommend Optimum Nutrition Gold Standard BCAA. Creatine is another compound that those looking to build muscle often lean on. Creatine powder is not quite as effective as BCAA-rich protein powder for creating muscles, but it is absolutely a viable alternative for those who feel they’re already getting enough protein. 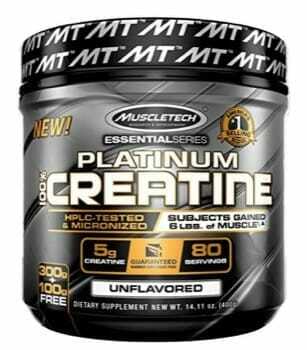 We recommend MuscleTech Platinum Creatine. Protein Powder - your protein intake will need to be higher which means you'll need a good source of whey protein powder. Whey isolate protein powder is fast to digest in the body and will help kick-start the muscular repair and growth process as fast as possible, as stated by research published in the Journal of Science and Medicine in Sport. 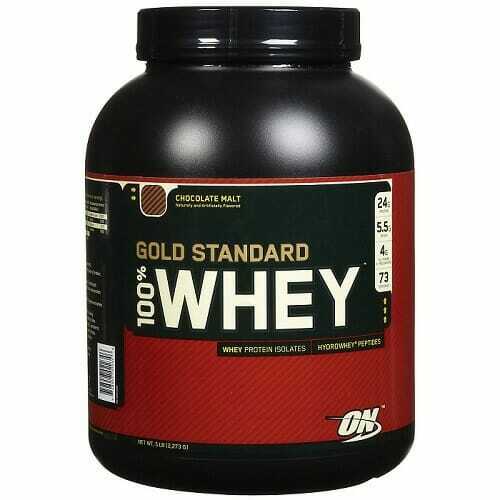 We recommend Optimum Nutrition Gold Standard 100% Whey Protein Powder. The key to achieving the kind of large, lean muscle mass you’re after is to start with realistic expectations, push yourself physically by lifting heavy, make sure you don’t go overboard on the cardio and that you eat a well-balanced diet the delivers proper nutrition. That diet is going to include generous amounts of carbohydrates to provide energy for your workouts and protein to build muscles. You’ll also want to be sure you always drink plenty of water, avoid stress and get plenty of sleep. Keep in mind that building lean, strong muscles is a process. But if you make the process part of your life you will reach the muscle building promised land. Muscles can be developed even without expensive equipments or getting a gym membership. The specially planned body weight workouts put enough resistance to the muscles to promote muscle growth and these no equipment workouts help in bulking up without using a single weight. But the key is to do the right exercises in quick progression that forces the muscles to be explosive. Body weight exercises constantly test your strength against gravity while pushing up the stamina of various muscle groups at the same time.